Before you try growing marijuana in soil, you think it will be easy and natural. You hear people claiming that marijuana grown in soil tastes and smells better and is more natural. However, when you actually grow marijuana in soil, you discover that those ideas aren’t accurate. Building soil for growing your own soil (using the supersoil method or other methods) is a complex, long-term process. First, you spend money on guano, earthworm castings, green sand, dolomite, rock phosphate, bone meal, etc. It’s hard to get clean, well-processed soil components. You’re at the mercy of the suppliers. If you get inferior source materials, it makes your soil bad…but you won’t discover it’s bad until your marijuana plants are in the soil and suffering. I recommend Espoma as an ethical soil components company. Marijuana growers have to precisely mix soil materials and properly age the mixture before it’s safe and useful for your plants. If the aging process goes wrong, which it often does, your soil won’t feed your marijuana plants enough nutrients. Or it may overfeed or even kill your marijuana plants. Many people try supersoil and find that they can’t get it right, it takes a lot of time, space, and worry, and doesn’t work well enough for their marijuana plants. These growers often turn to soilless marijuana growing because in hydroponics systems your marijuana roots are in a neutral environment so you have the ability to completely control nutrients and pH. One thing for sure—you don’t really know what your soil will do until you run a crop cycle in it. Professional marijuana growers say if you’re using a particular batch of soil for the first time, don’t use your most expensive marijuana seeds or most valuable clones. Do a test run with lower-value plants to be sure the soil works before you grow your most top-shelf marijuana plants in it. Hydroponics stores sell several brands of manufactured soil that have multiple components and are allegedly blended for growing marijuana. These include Fox Farm, Roots Organics, etc. Growers use them as is, or they add perlite and other soil amendments. Problem is, marijuana growers and hydroponics stores report major problems with the most popular brands of manufactured soil. Hydroponics store people report they’ve received palettes of allegedly identical bags of commercial soil, but one bag has good formulation, and another has bad formulation. Growing marijuana in soil doesn’t provide absolute predictability or consistent conditions to your marijuana roots. Your cannabis roots in soil can experience problems with soil pH, aeration, water-holding, oxygen-holding, pests, or diseases. That very popular brand of soil is known to come with fungus gnats, which are a bad bug that lays eggs in your root zone. The eggs hatch into larvae that eat your roots. Fungus gnats are also a vector for pathogens and diseases. If you buy that particular brand of soil, you’re almost guaranteed to have gnats in your grow room. And from what hydro store people tell me, every commercial soil has problems, such as a “marijuana soil” company that started manufacturing its soil on the east coast instead of only on the west coast. The manufacturer made mistakes sourcing ingredients, resulting in incorrect soil pH and other characteristics that cause problems for marijuana growers. Growing in soil or supersoil is linked to the “organic marijuana” movement, which sometimes resembles a cult religion. The soil cults fanatically insists that “organic” marijuana tastes and smells better than marijuana grown with synthetic nutrients in soilless hydroponics. I’ve looked at the organic marijuana versus hydro marijuana debate from all sides, and talked to scientists. We have an article here on site about an organic marijuana growing book called True Living Organics. I admire the book, and have seen phenomenal results when experienced growers cultivate marijuana using such methods. I’ve seen fantastic marijuana produced using organic or hydroponics methods. But if you talk to a botanist, he or she will tell you that your marijuana plants intake the same nutrient elements whether they come from soil fertility or from synthetic hydroponics fertilizers. And those of us growing marijuana indoors know that properly-flushed indoor cannabis tastes and smells just as good as outdoor marijuana– if not better. Despite the claims of organic cannabis advocates, the differences in soil versus hydro are not in taste, potency, purity, or quality. Instead, the difference are in how soil versus soilless growing affects the marijuana grower’s gardening practices, and in yield and growth rate. 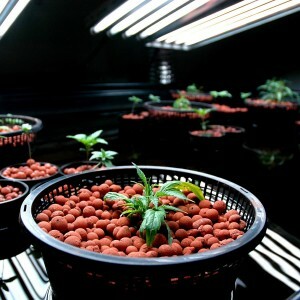 Most organic marijuana advocates reluctantly admit that hydroponics produces faster-growing plants and larger yields. What they also should also acknowledge is that soil growing doesn’t give you enough control over the environment your marijuana roots are in, or in delivering nutrition. The one thing that outdoor, organic growers say is superior about growing marijuana outdoors that’s actually true is that growing outdoors organically can be more environmentally friendly than growing indoors. Those of us who are environmentalists growing marijuana indoors recognize that using electricity, reverse osmosis water, air conditioners, hydroponics grow lights, and other indoor cannabis growing materials and tools is worse for the environment than growing outdoors. Soil comes with its own nutritional load, its own unique properties for storing and releasing water, oxygen and nutrition, its own unique properties that influence root zone pH. If soil porosity, pH, and composition aren’t right, your marijuana roots might suffocate, drown, or be unable to uptake all the nutrients your marijuana needs. When you use soil, you lose the ability to precisely control what goes into your root zone, what stays in your root zone, and what leaves your root zone. This problem is compounded when soil manufacturers and organic marijuana advocates recommend so-called organic and natural fertilizers. In most cases, natural and organic fertilizers are thick, smelly, and impossible to precisely calibrate when it comes to predictable, immediate delivery of available nutrients. Some fertilizers and soils advertised as organic and natural actually aren’t all organic, natural, or safe. They may contain synthetic materials, heavy metals, and GMOs. Heavy metals and GMOs transfer harmful toxicity to you and your marijuana. Why do you need to use fertilizer in a soil marijuana grow? 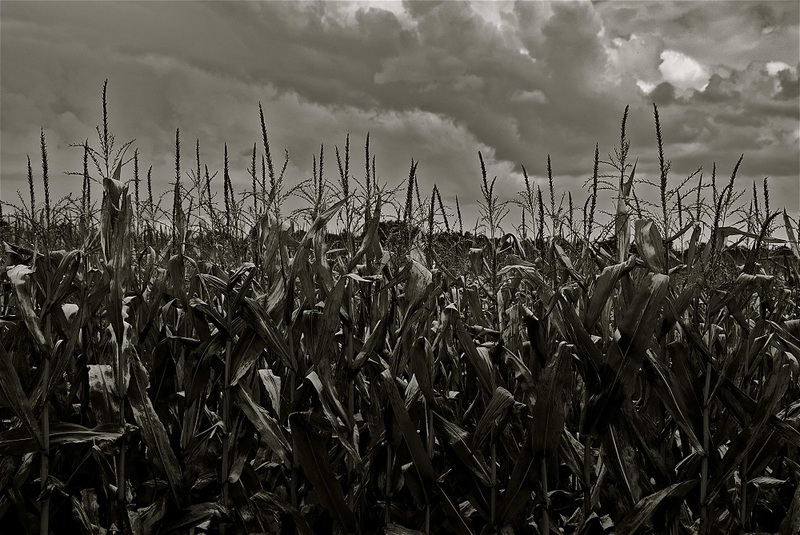 By the time bloom phase rolls around, soil is depleted, and extra feeding is necessary. Most growers are unaware that soil and most organic/natural fertilizers have a very hard time delivering micronutrients. For example, only a handful of organic/natural nutrients meet the strict guidelines set forth by the California Department of Food & Agriculture’s (CDFA) fertilizer registration program when it comes to the quality, effectiveness, and source materials. I looked at CDFA’s huge listing of fertilizer companies and products, and discovered that Advanced Nutrients is pretty much alone in meeting CDFA fertilizer standards for organic and natural products. And if you’ve got pH problems in a soil root zone, be prepared for a crazy guessing game and a lot of work as you try to remedy it. Just trying to measure soil pH can be a real hassle, much less adjusting it. In a hydroponics system such as aeroponics, NFT, DWC, ebb and flow, and other soilless systems, if there’s a mistake with nutrients ppm or pH, you can easily flush and correct the root zone. In soil, once problems start happening (especially in bloom phase), growers have a hard time reversing them. I’ve devoted several marijuana crop cycles to growing in the most popular commercial soils, using the most popular commercial organic/natural fertilizers, in indoor and outdoor gardens. I’ve also done two crop cycles using supersoil made for me by an expert, who warned me that supersoil might be too “hot” to start plants in. In grow phase, supersoil cannabis growing was easier than soilless growing. All I had to do was add rainwater whenever the plants needed water. The plants grew fast and their leaves were sweet green. But by early flowering phase, problems set in. It’s almost inevitable that by early bloom even the best soil runs out of key nutrients…especially phosphorus, potassium, calcium and micronutrients. For fertilizing marijuana in soil, I first used Earth Juice, but couldn’t stomach the smell. It was like raw sewage! Then I ran through the range of non-synthetic fertilizers and bloom supplements (Fox Farm, Humboldt Nutrients, Roots Organic, General Organics, etc.). The only one that adequately fed my marijuana plants, was easy to use, and didn’t smell like an outhouse…was Iguana Juice. Still, after experiencing frustrations with gnats, soil pH, poor drainage, bloom phase nutrient problems, and root rot, I gave up on soil. Now I use hydroponics soilless methods and materials, and it works way better for me and my marijuana plants. Soil growing has one big advantage over soilless growing: it’s not as tech-dependent as hydroponics soilless methods such as aeroponics. 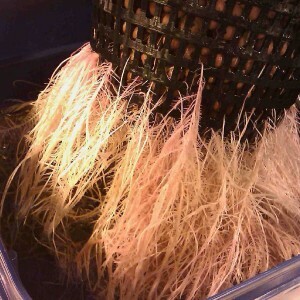 In an aeroponics system or any hydroponics system in which your cannabis roots depend on water delivered via electricity and a pump, if you have an electricity or equipment failure, your marijuana plants may die within a few minutes or hours. That’s not going to happen in a soil marijuana grow. The professional marijuana growers I network with agree that growing marijuana in soil makes sense for outdoor grows. We also agree that only soilless, indoor hydroponics marijuana growing gives you total control over root zone pH, aeration, moisture, flushing, cleanliness, environment, lighting, and nutrition so you push your marijuana plants to deliver their maximum genetic potential.